I always struggle with what plans to make for Valentines Day. Every year it's the same, we talk about maybe going out for dinner, can't decide where to go and so end up sitting in our living room sharing a cheap pizza and watching rubbish on the TV. I'm sure you're probably all the same! So this year, I'm going to help you out. I've done the research for you, the decision making is done and you should spend your Valentines at Mantra Thai in Newcastle. You'll find Mantra Thai in the beautiful Waterside Palace just off the Quayside, it's quite some building and looks just as stunning inside as it is out. The best thing about choosing it as your Valentines destination is that even when it's busy it's got a wonderful calming atmosphere and the tables aren't on top of each other - just what you need for a romantic date with your loved one. 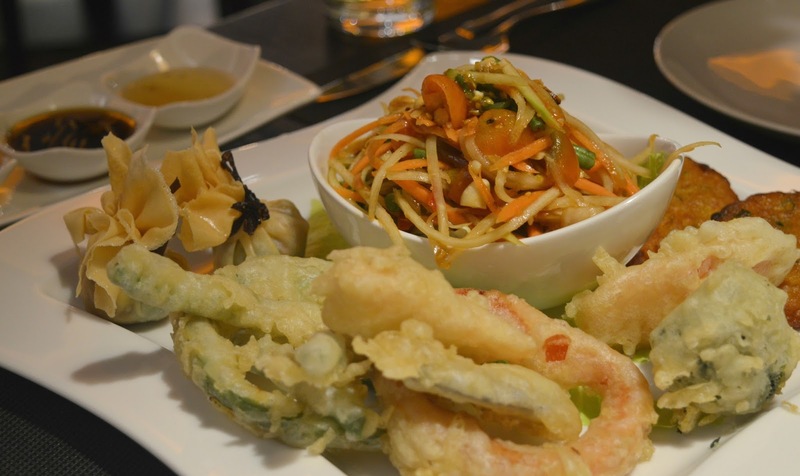 The Valentines Menu at Mantra Thai is a choice of three banquets, perfect for sharing between two. Each banquet has an Appetiser Platter and Main Courses (with some dessert options if you can possibly fit them in!). Mantra invited us down for the evening for a little sneak preview at what you can expect from the Valentines Banquets. With an Appetiser Platter crammed full of 5 delicious nibbles you can expect to fill your belly with Chicken Satay, Pork Spare Ribs, Golden Parcel, Prawn and Chicken Toast and Vegetable Spring Rolls. 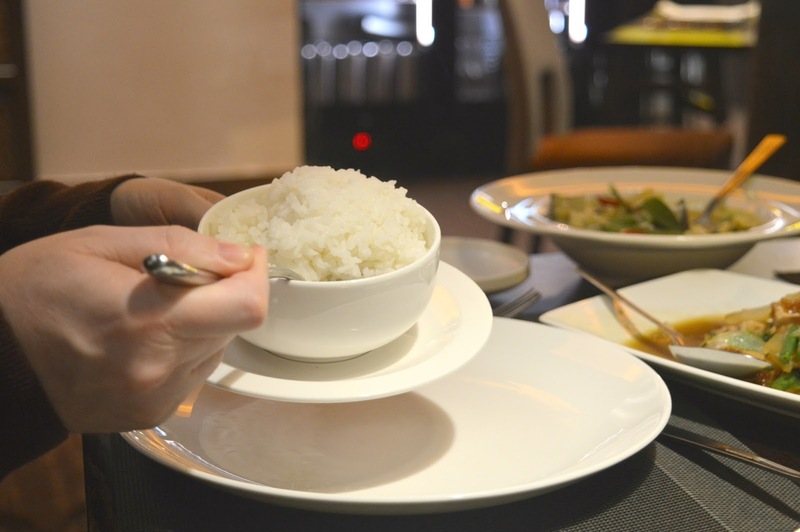 The Main Courses are a delicious Thai Green Chicken Curry, Crispy Pork with Chilli and Basil, Panfried Sea Bass in Tamarind Sauce and Steamed Jasmine Rice. I was particularly impressed with the Thai Gren Chicken Curry. Not being a fan of spice, I usually avoid anything with the word "curry" in the title, but Mantra pride themselves on serving food that's blended and balanced with delicious flavours. That meant that none of the food served was so hot it blew my socks off, and instead I got to enjoy dishes I'd never usually try. 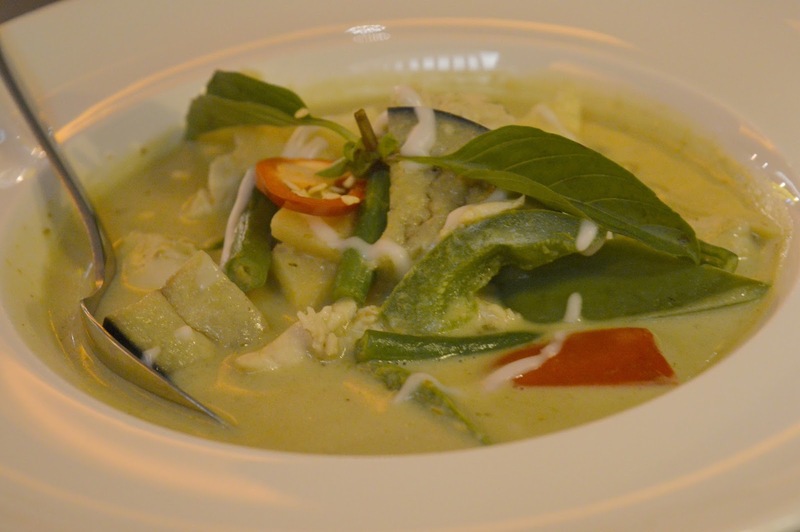 The curry was made with fresh green chillies and Thai herbs and served with chicken breast in coconut milk with fine beans, bamboo shoot and aubergines. Delicious! 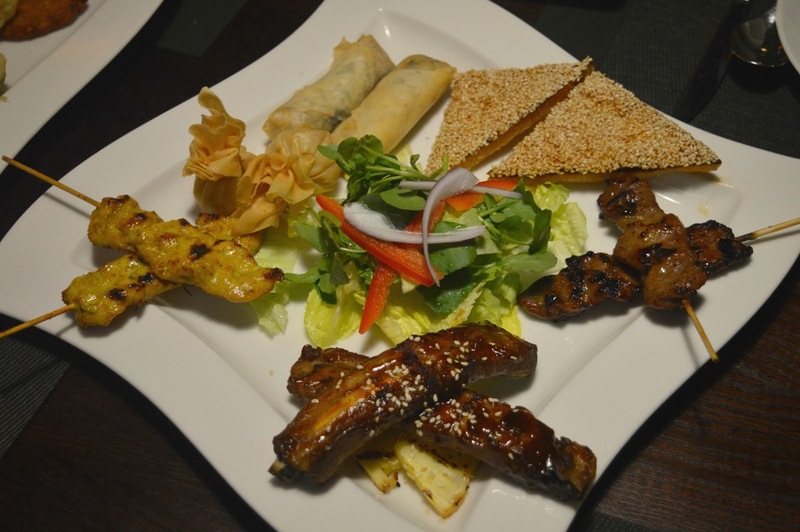 Banquet B is a more extravagant affair with 6 dishes making up the Appetiser Platter. Make sure you arrive hungry to feast on Thai Fish Cakes, Grilled Pork Skewers, Golden Parcel, King Prawn Tempura, Duck Spring Rolls and Crispy Duck Salad. 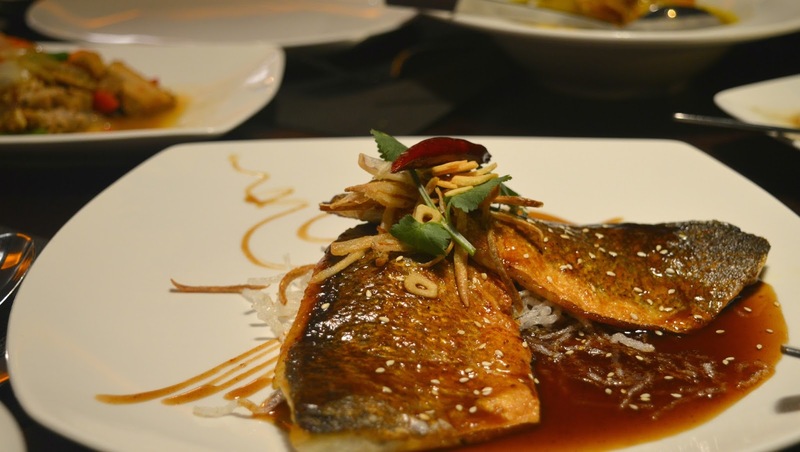 The Main Courses are Panfried Sea Bass in Tamarind Sauce, Roasted Duck Curry, Grilled King Prawns and Egg Fried Rice. It was the Panfried Sea Bass that completely stole the show for me, it was served in a rich tamarind and palm sugar sauce and garnished with roast chillies and fresh coriander. Mantra certainly know about flavour, it was perfect. The cheapest banquet of the lot is the Vegetarian Banquet which has 4 Appetiser Platter dishes - Golden Parcel, Vegetable Spring Roll, Sweet Corn Fritters and Thai Papaya Salad. 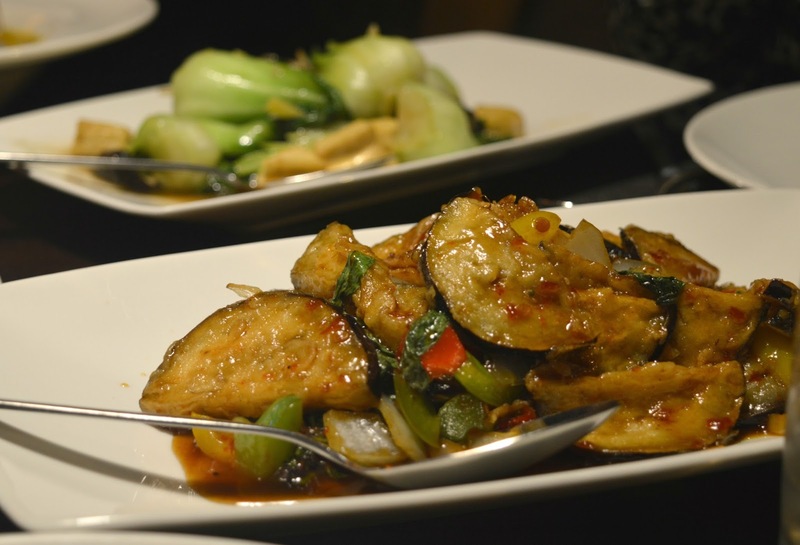 The Main Courses are a Mix Vegetable and Frid Tofu in Yellow Curry, Stir Fried Aubergine with Three Flavours, Stir Fried Pak Choi. I found myself eagerly taking spoonful upon spoonful of the Stir Fried Aubergine and it makes the Vegetarian Banquet a very tempting choice. We loved our first experience at Mantra and wouldn't hesitate to go back. The delicious and authentic Thai food is different to any other dining experience we've had in Newcastle making it a very special treat for your loved one on Valentines Day. Give Mantra a call on 0191 232 6080 to book your table for Valentines Day. Oh wow all this food just looks incredible. I LOVE thai food and it lookalike the perfect place for a Valentine's Meal <3 The appetiser platter is right up my street! Oooh wow, this Thai looks amazing. Thai is my favourite and to think they've got a vegetarian banquet on the menu too!! Yum!